Last edited by Waiz; 05-29-2013 at 10:55 PM. No lines etc come with it? May wanna add if does/doesn't. And rotor sizes. +1 on rotor sizes, and mounting do they mount with stock location and hardware? is d2 manufactured by the same taiwanese company that rebrands ksports and kiddo? What is the rotor size and will a standard floating rotor work as a replacement with the brake system... Reason I ask ... Is the cost$$$$ of track rotors (2 piece). 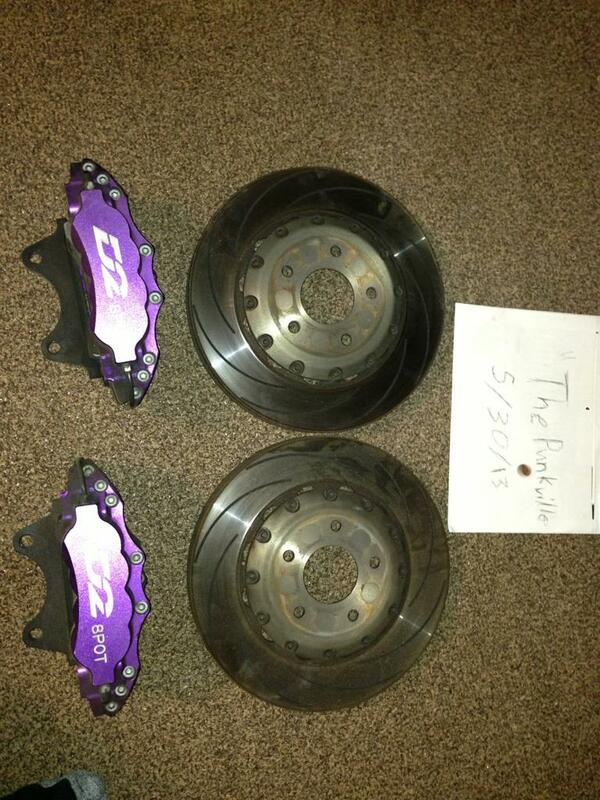 When my Z is not on the track I would like to have the option of a brembo rotor or Akebono rotor. Bump 950$ let's get these sold! Bump! Still for sale! That's 4 flakers!